Videocon Corporation, one of the leading conglomerate in the smartphone industry worldwide has finally join the elite club of HD powered smartphone available in the Indian market. Empowering the engaged mobile phone customer of today with cutting-edge HD enabled experience, the Videocon Mobiles has launched Videocon A55 HD smartphone which is laden with new-age features and specifications. Though one of the domestic manufacturers, Videocon backed the trust of being an established brand. Being a well known brand and have already launched their smartphones, company was falling behind in terms of powerful smartphone and with new A55HD is now back in race in the powerful and feature rich smartphones. Videocon A55HD is designed especially for all those fans and buyers who wish to have a high powered device at an affordable price range. The Videocon A55 HD is available for purchase in the market at a price of Rs 13,400 and as per the company this handset does all the justice with the specified price tag. Coming towards the specifications of Videocon A55HD in terms of frame up, this device flaunts a huge 5.0 inch of HD OGS capacitive touch screen display with 1280 X 720 of pixel resolution. The body for this device is quite sleek and shiny which compensates an overall premium design structure. The screen is supported with OSG technology which makes this device quite slim as compare to other handsets in the market. Dealing with it’s Platform dependency, this device sails on Android 4.1.2 Jelly Bean operating system. 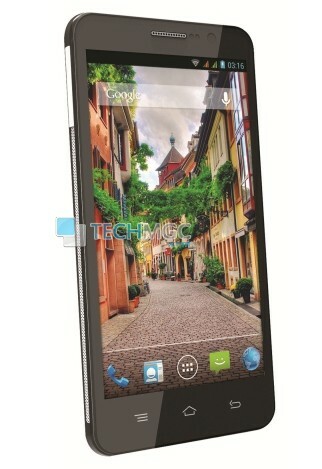 On the technical side, Videocon A55HD is equipped with MT6589 chipset and PowerVR SGX 544 MP GPU. It is powered with MediaTek processors thos are slowly catching up not only with brands that cater to budget conscious consumers but are now accepted by bigger brands like Sony as it is used in Sony Xperia C.
From it’s storage specifications, this device is equipped with 1GB of RAM which makes the overall downloading and web surf quite smoother, 4GB of internal memory which can be easily expanded up to 32GB via micro SD card slot. In terms of photography specifications, this device is equipped with both the camera options. On the back side, it include a primary camera rated at 8 MEGAPIXEL for clicking nice snapshots and on it’s front side has been installed with a secondary camera rated at 3.2 MEGAPIXEL for self-portraits. Some of the other features of camera includes auto focus, panorama shot which enable the use to capture 40 continuous shots in a single frame. Connectivity wise Videocon A55 HD supports 3G (HSDPA: 42.2 Mbps, HSUPA: 11.5 Mbps), 2G, WiFi 802.11 b/g/n, GPS/AGPS support and a 3.5 mm Audio jack. To make the life going on for this handset, it is equipped with 2000mAh of battery which company claims that it will deliver a decent amount of talk time and standby time. Let’s see with this price tag how tough competition Videocon A55HD will give against the other substitutes available in the market till date. For more information on technology, Stay tuned with us.